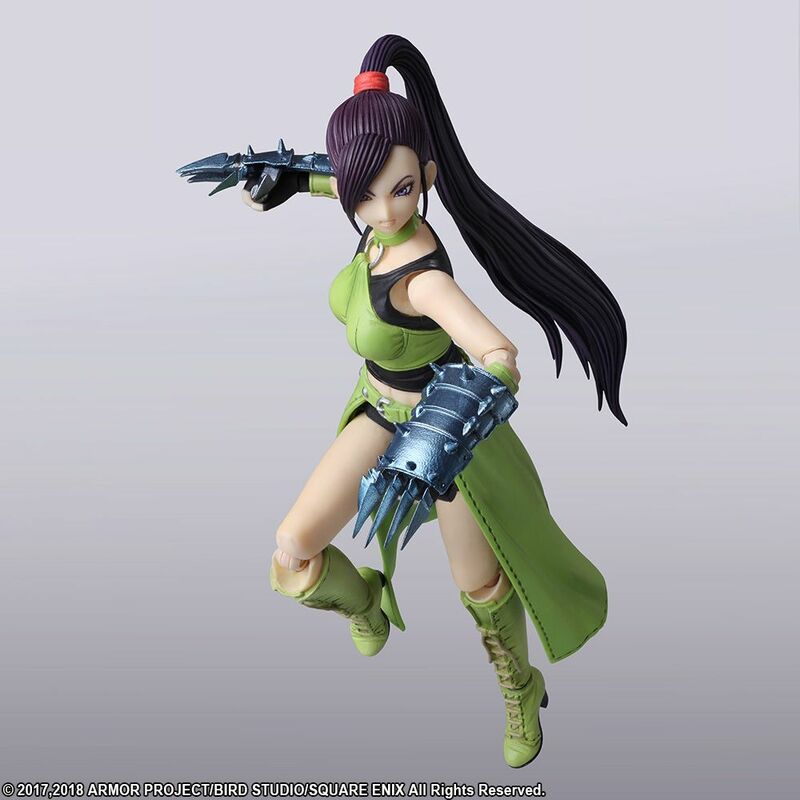 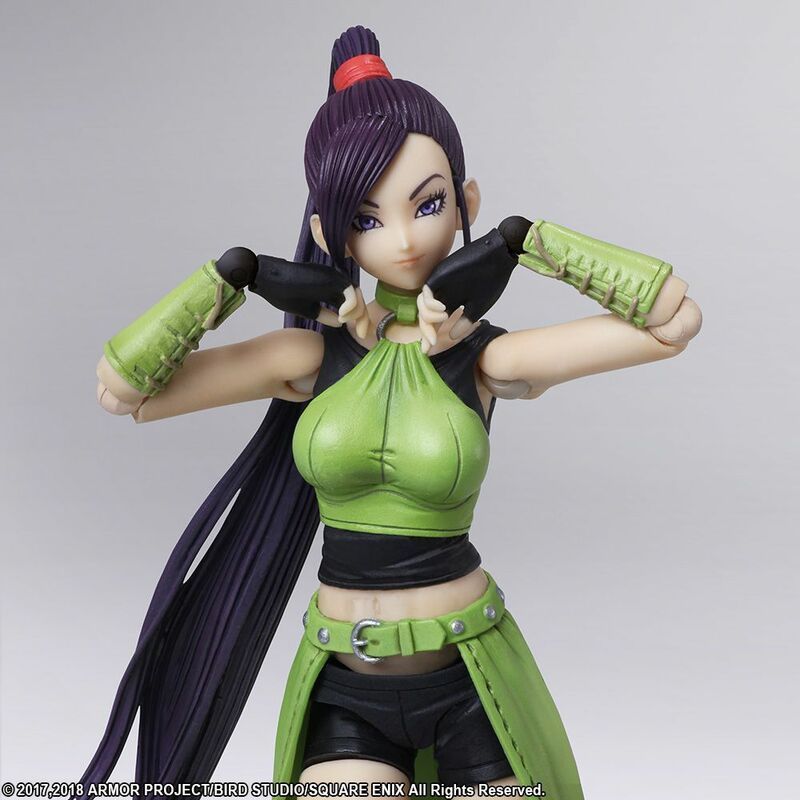 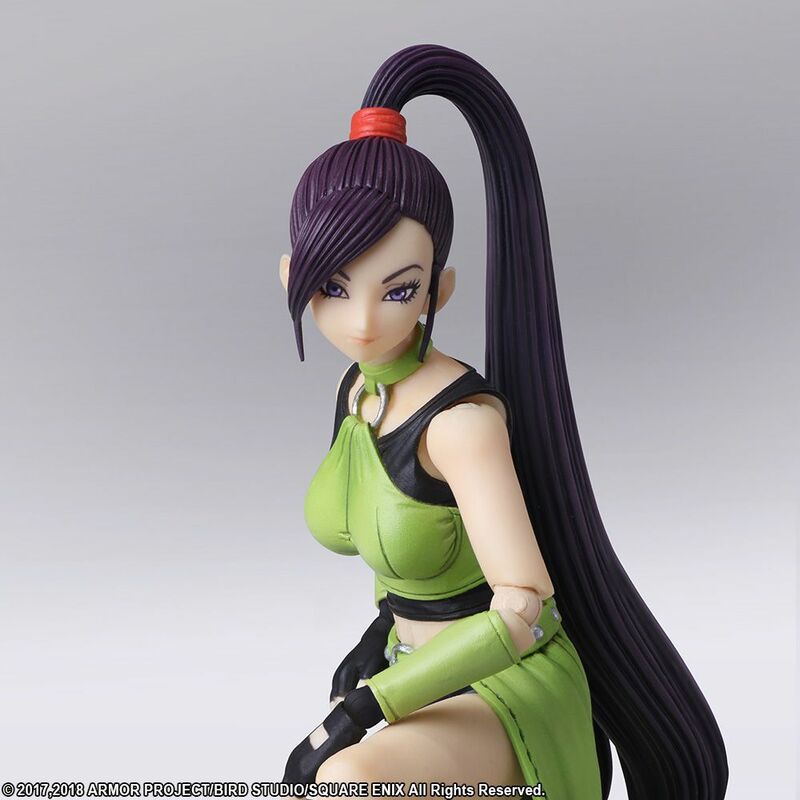 From “Dragon Quest XI Echoes of a Lost Age” Bring Arts is proud to present Jade, the high-minded martial artist. 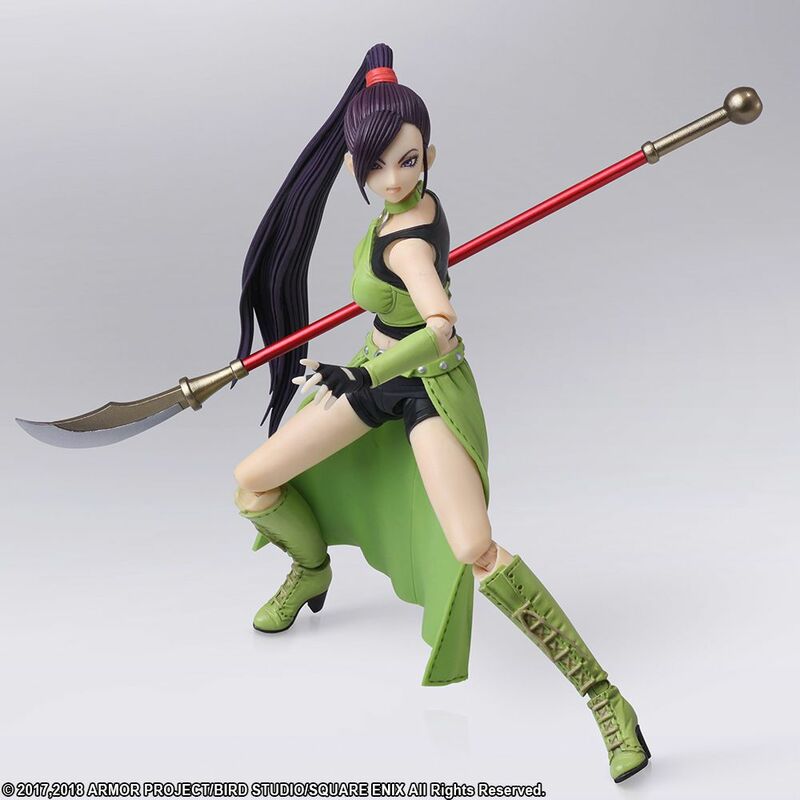 Her skirt is made of flexible materials, for smooth motion, and her carefully moulded hair and costume features impressive shading details and colouring for a more dynamic appearance. 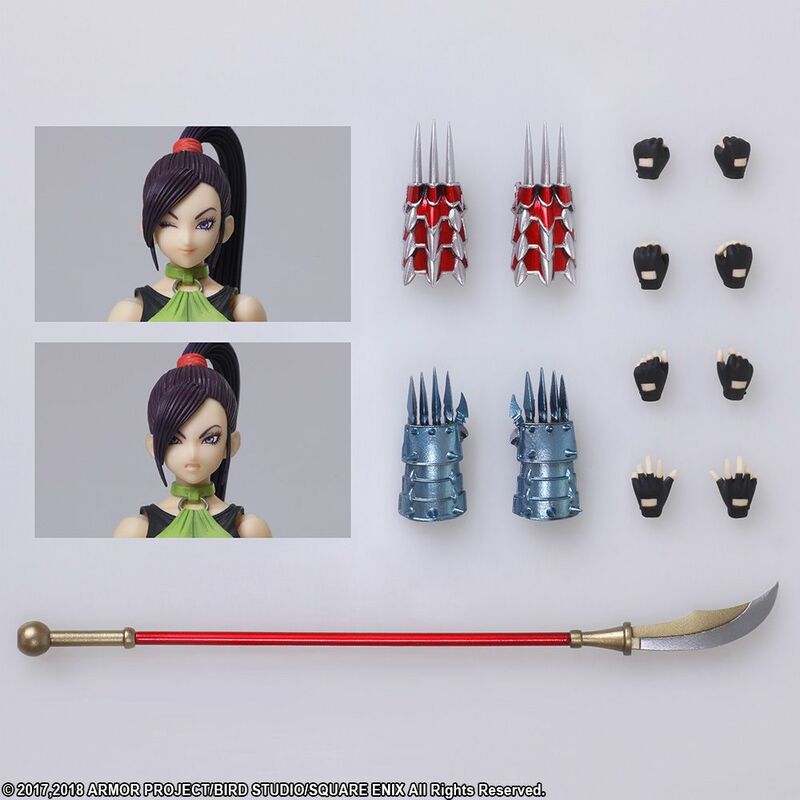 She comes with a full set of accessories, including three interchangeable faces, ten interchangeable hands, Ice claws, Dragonlord claws, Jade's glaive, and a great sabrecub with an articulated head and tail. 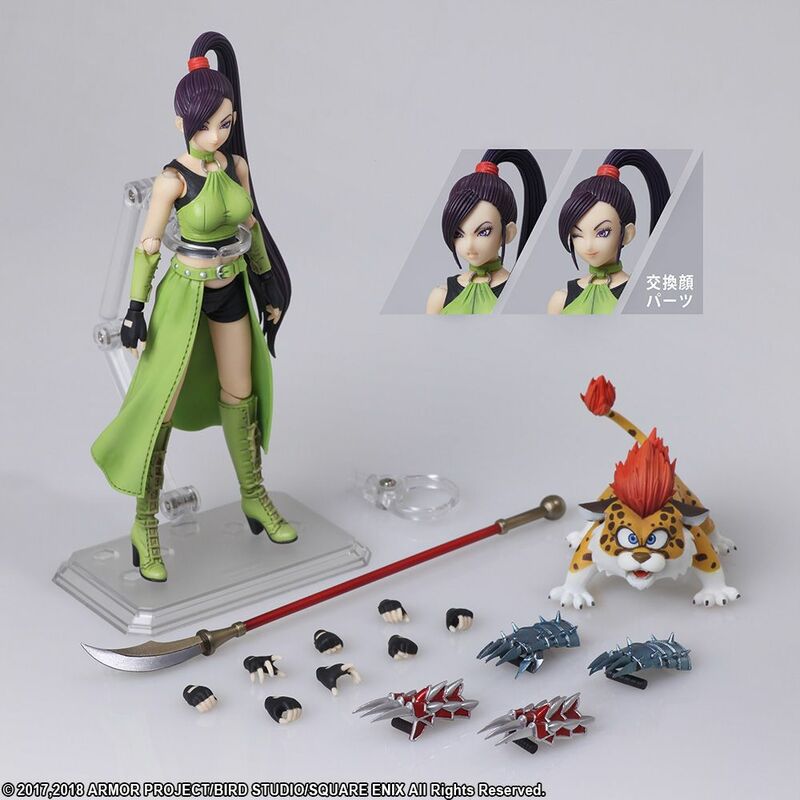 While compact in size, this set embodies her dignified air and perfectly captures the in-game atmosphere. 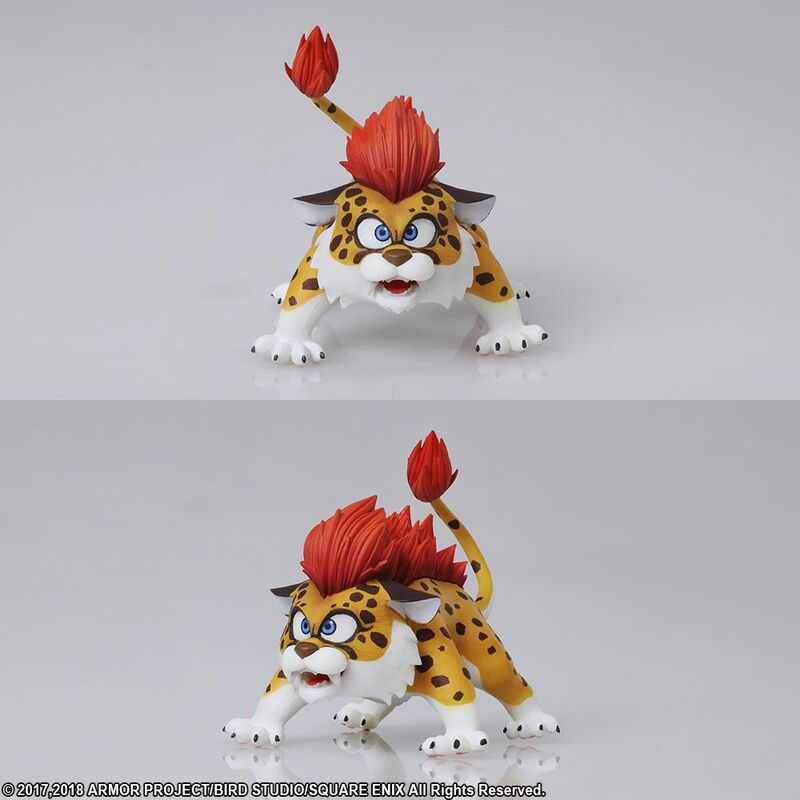 2017,2018 ARMOR PROJECT/BIRD STUDIO/SQUARE ENIX All Rights Reserved.